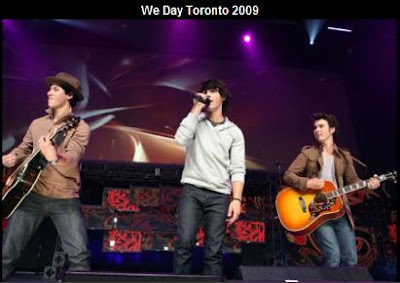 The Jonas Brothers brought thousands of screaming teens to their feet with a surprise performance at an event in Toronto called We Day. Kevin, Nick and Joe Jonas were first seen on a taped message on the big screen, only to step out on stage moments later to perform live. An estimated 16,000 student leaders were at the Air Canada Centre on October 5th for the youth empowerment event organized by Free The Children. 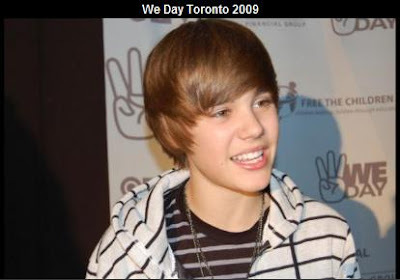 Justin Bieber also performed at this special event.